When it comes to these sexual revenge films it can understandably be a touchy subject for some, but that doesn't mean that these films can't produce a great story. I went into this film knowing very little about it, I'd only heard that it was kind of an exploitation throwback style film which was fine by me. There's some great films from that genre that are still loved and I hoped this could be a new addition to that list, the thing is in this day and age this type of film can be a hard sell. Fortunately it seems that this was took into consideration and what we are given is a little bit more subtlety that actually works really well, it doesn't feel like it's trying to go to go too far with the sexual tone in other films that we've seen before. It still gives the character sympathy just without the brutality. Talking of brutality, there's plenty of it that will satisfy many fans out there. Without ruining it for anyone who hasn't seen it all I'll say is our leading lady turns into what I can only describe as a female 'Rambo', that should give you some indication as to what you're in for and it will satisfy gore fans looking for blood. I thought the cast did a great job, they each played their roles really well and you forget here's only a cast of four. I also think the writing was more clever than it got credit for and I found it very tense and suspenseful, I will admit that I certainly wasn't expecting to be on the edge of my seat. It was a very welcome surprise. 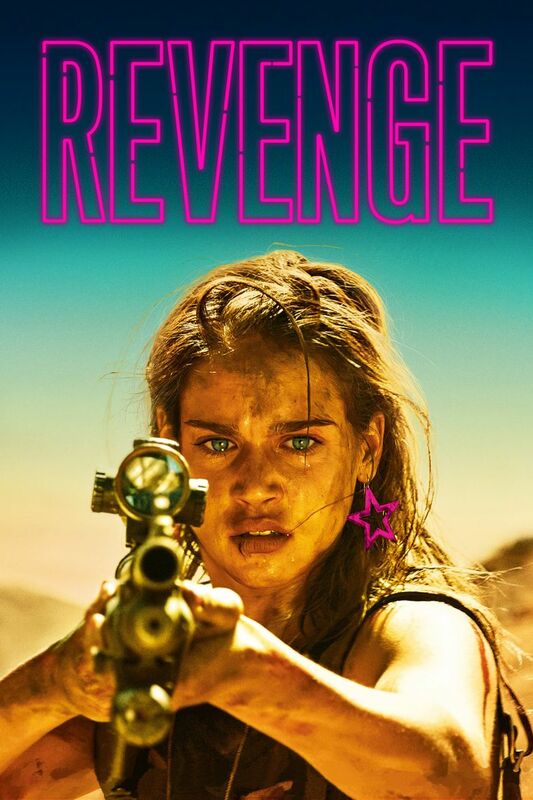 "Revenge" is certainly not everyone's cup of tea but I thoroughly enjoyed it. I urge you to give it a try, like me you maybe thoroughly surprised.